One Dead, 15 Injured In North Carolina Gas Explosion | Arkansas Best Variety Of Country. Police in North Carolina said that a gas explosion partially collapsed a North Carolina building and set it ablaze on Wednesday morning, killing one person and injuring more than a dozen. Durham Police Department public affairs manager Wil Glenn said a contractor boring under a sidewalk hit a 2-inch gas line, triggering the explosion. One person was killed and 15 people were taken to area hospitals, Glenn said at a news conference. One firefighter was seriously injured, he also said. Video of the scene showed flames from windows along with heavy smoke and rubble. Students from a nearby school, the Durham School of the Arts, were evacuated and classes dismissed for the day. Duke University employee Mary Williams said she heard the explosion and felt shaking at her building a third of a mile away. 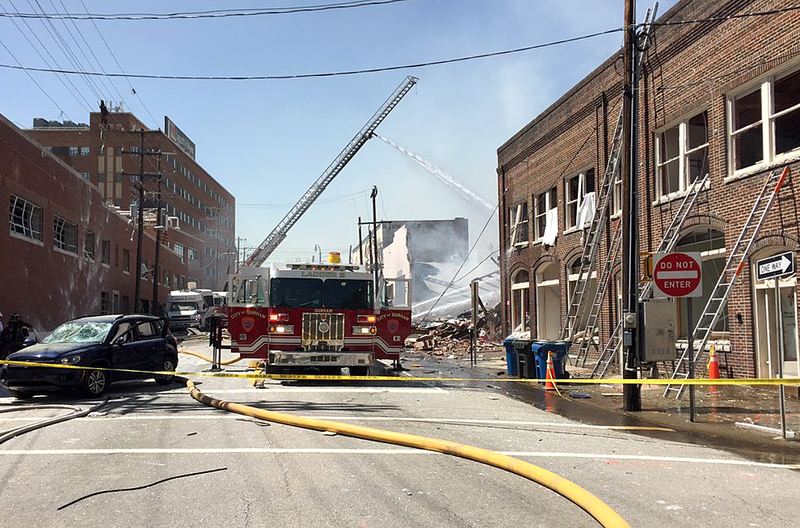 The explosion happened in a shopping district created from remodeled tobacco warehouses and industrial buildings near downtown Durham. The building is occupied by Prescient Co., which said in July 2017 that it was moving its headquarters from Arvada, Colorado, and expected to employ about 60 executives, engineering and sales workers in Durham. The company uses specialized software to design and build precise materials that allow builders to assemble multi-story apartments, hotels and other commercial buildings faster and cheaper.